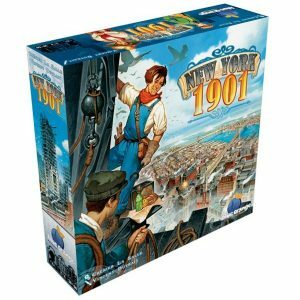 Scythe is set in an alternate-history 1920s period. It is a time of farming and war, broken hearts and rusted gears, innovation and valour. 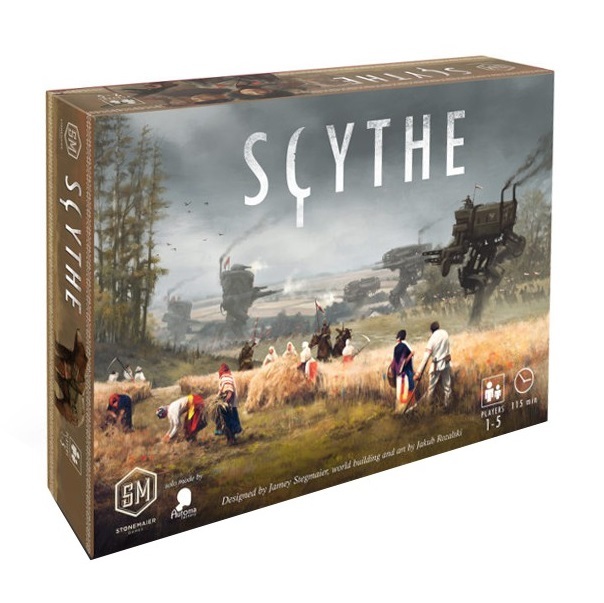 In Scythe, each player represents a character from one of five factions of Eastern Europe who are attempting to earn their fortune and claim their faction’s stake in the land around the mysterious Factory. Players conquer territory, enlist new recruits, reap resources, gain villagers, build structures, and activate monstrous mechs. 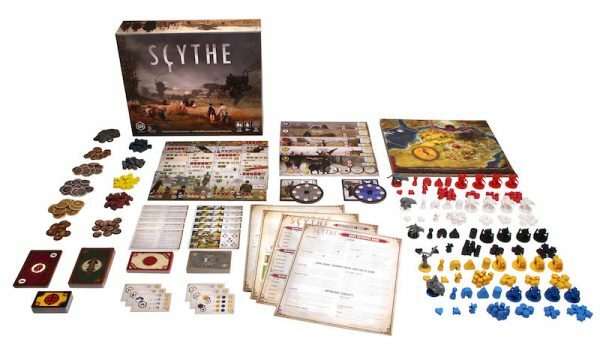 Scythe uses streamlined action-selection to keep gameplay moving at a brisk pace and reduce downtime between turns. While there is plenty of direct conflict for players who seek it, there is no player elimination. 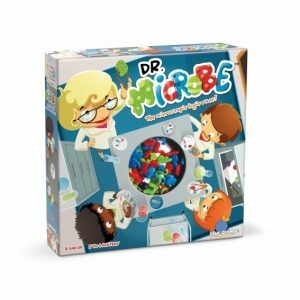 The player who amasses the most wealth at the end of the game wins.